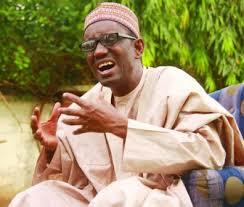 Former chairman of Economic and Financial Crimes Commission (EFCC) and the Director, Field Operations Directorate, APC Presidential Campaign Council, Mallam Nuhu Ribadu, has assured that President Muhammadu Buhari will conquer the battle against corruption in the country in his second term. Speaking during a ‘thank you’ reception for members of the directorate, in Abuja on Friday, Ribadu claimed that Buhari campaigned and won the election based on his credibility against the norm which is the use of funds to win the favour of the electorate. “Let us be very proud of ourselves. We did something that money cannot buy. We did it honestly and only God can testify to that. We didn’t invite people to even come and look at it, no. The best human being is one that will do a good thing without necessarily waiting for people to take note. “Honestly, (let’s) be proud of yourselves, genuinely! And you will see the reward of it; it will come. No good work can go unrewarded; one way or the other, it will come. It may not be today, it may not be tomorrow in the morning, but certainly, it is going to come. “We will continue to be happy for the next four years because we have done something that is going for our country; we have re-elected a good man. Buhari is a good man. He is genuine. He is a fair gentleman. He is honest. He will protect our resources, he will. He will not allow bad people to cheat us and steal from our own commonwealth. He will not! And that is what we want in a leader. “He will not go and sale Nigeria. He will not sell whatever that we have. He will not sit with anybody to plot evil or do a bad thing. He will not. I saw it at a very close range, even up to this election. There was never a day or a minute that Buhari sat down and told us, as his own campaign council, to go and do a bad thing. Never! “He refused to allow even the traditional way of politicians taking advantage of what they have. He refused. He refused to talk to law enforcement agencies. He refused to interfere with INEC. He said let us go and meet the people; let us sell our own product; let us tell Nigerians what we have, and if they want to buy, let them take it. It is not about money or intimidation; we will give Nigerians free opportunity and chance to decide and they decided. “The elections are not over yet. We still have one important election waiting for us. We just got one, presidential and National Assembly. We have another one coming, in a matter of ten days now or less, the gubernatorial and states House of Assemblies. It is a very important election for the party. I want to appeal to all of us, let us take it equally very important. We have already done a wonderful job and we are capable of doing that again. “The work we are doing is a continuation of supporting President Muhammadu Buhari because he would need a party that has the majority of states in Nigeria. He would need more governors so that he can carry on with his work and implement the policies of our party. “The governors would also require our own state assembly members. Governance is about team work. I, therefore, appeal to us, let us go back and continue with this work. It is not yet time to rest until it is over,” he said.